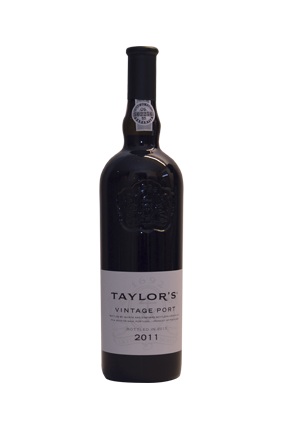 The 2011 Taylor’s Vintage 2011 has a multifaceted, Pandora’s Box of a nose that is mercurial in the glass: cassis at first before blackberry and raspberry politely ask it to move aside, followed by wilted rose petals and Dorset plum. Returning after one 45 minutes that nose has shut up shop. The palate is sweet and sensual on the entry, plush and opulent, with copious black cherries, boysenberry and cassis fruit, curiously more reminiscent of Fonseca! It just glides across the palate with a mouth-coating, glycerine-tinged finish that has a wonderful lightness of touch, demonstrating how Vintage Port is so much more accessible in its youth nowadays. But don’t let that fool you into dismissing the seriousness or magnitude of this outstanding Taylor’s. Leveres i orig. 6 stk's trækasser.